﻿ Origins Swept Away Review: Is This Scrub Really Good For Your Skin? Origins Swept Away is marketed a gentle, yet effective, exfoliating cleanser for all skin types. Our review of Origins Swept Away will let you in on all the details about this restorative scrub made by one of the most recognizable names in the skincare industry. Origins Swept Away claims that it can remove dead, dull skin to reveal revitalized, radiant looking skin after just one use. This product is effective, yet gentle enough to use on even the most sensitive of skin types. For best results, apply an even layer of Origins Swept Away to your damp skin. 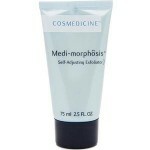 Gently massage the product into your skin in small, circular motions. Rinse the product off with water and pat the skin dry. Be sure to follow up with your preferred skincare treatments, like toner and moisturizer for optimum benefits. Origins Swept Away appears to have been discontinued and is no longer available on any reputable websites as far as we can tell. Jojoba Beads: These abrasive ingredients sweep away dirt, oil, and other pore-clogging impurities. Origins is a very well-known, trusted skincare brand. This scrub is gentle enough to use on all skin types, even those with sensitive skin. 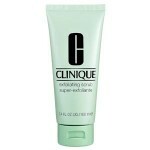 This product sweeps away dead skin and other pore-clogging debris to reveal more radiant skin. This product appears to have been discontinued and is no longer available on any reputable skincare sites. A full list of ingredients is no longer available. Former customers claim this product stung on their skin and left an uncomfortable waxy film. Origins Swept Away claims that it can remove pore-clogging impurities to reveal brighter, smoother, more radiant looking skin, without causing any irritation. Although this may sound like the perfect addition to your skincare routine, there are several issues we’d like to address before you consider purchasing. The first, and most obvious, issue with this product is the lack of availability. This product appears to have been discontinued and is no longer available on any reputable skincare websites at this time. It’s not hard to understand why Origins decided to pull this product from the shelves. An overwhelming majority of customer reviews appear to be negative. Although this product claims to work well for those with sensitive skin, customers say otherwise. 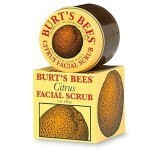 Many customers claim this product stung upon applying it to the skin and felt far too abrasive. 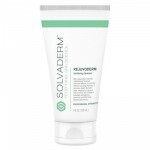 Others claim this product caused severe breakouts and left an uncomfortable film on the skin. We’d recommend continuing your search for an exfoliating scrub that contains proven, gentle ingredients and is sold on a reputable skincare website. Origins Swept Away no longer appears to be available for sale and is not sold on any reputable websites at this time. If you do manage to find this product online, be sure to contact the individual distributor to determine the product’s authenticity and ask whether or not this product comes with any sort of exchange policy or money back guarantee.